If you’re nearing retirement, you’ve probably realized the planning involved is about more than deciding which golf club you’ll join or where you’ll take your first cruise. You have to manage your assets, plan for long-term care, educate yourself about taxes and inflation, figure out when to take Social Security, make an estate plan and more. Of course, there are plenty of people who’d like to offer you advice on all of that, but all financial professionals are not created equal. Their services, compensation, value, knowledge and experience can vary widely. In a fiduciary relationship, the adviser must put your interests before his own and the firm he works for. He must be completely transparent about his qualifications, the services he provides, his compensation, methods of analysis and any possible conflicts of interest. Not all financial professionals are fiduciaries. For example, those who sell only insurance products are not held to the fiduciary standard. 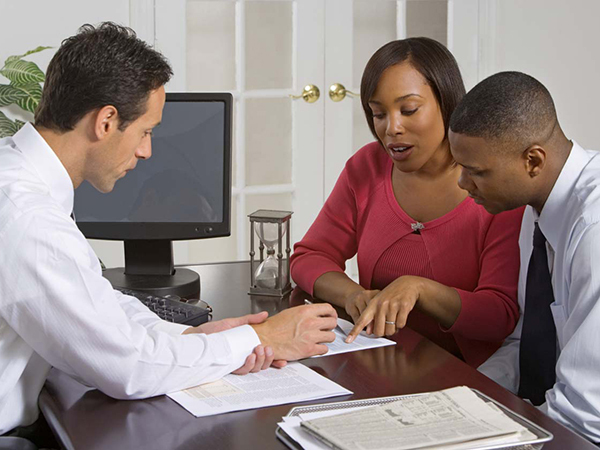 If they are not registered with the Securities and Exchange Commission (SEC) to give securities advice, manage client accounts or portfolios, offer investment advisory services or supervise employees who do, then they are held to the less rigorous suitability standard, which means the advice isn’t required to be in the client’s best interest, just suitable based on the client’s personal situation. You can check an adviser’s status through the Financial Industry Regulatory Authority at brokercheck.finra.org or the SEC at adviserinfo.sec.gov. Many investors are completely unaware of how much money they’re paying in fees and commissions each year. It is important for investors to understand how an adviser is compensated. A fee-based adviser is paid a percentage of his client’s portfolio. If your portfolio loses money, he doesn’t get paid as much, so his goal is to help protect and grow your investments. When you hire a fee-based adviser, make sure you’re paying a fair rate for the services you’re getting. If the fee seems too high to you, you can negotiate for a lower fee, but be prepared to make your case for why you think you should pay less. Some advisers may limit their work to asset allocation – dividing an investment portfolio among different categories, such as stocks, bonds and cash. That’s important, but in retirement, you want someone who is doing holistic, comprehensive planning. 3. Do you have a formal planning process? A lot of advisers will emphasize the need for a written income plan, but yours should be prepared to take it a step further. Your retirement plan should be a formal, named process – one that is regimented in terms of its thoroughness, but also nimble enough that everything is still customized to the client. There are five key areas that I recommend looking for: income planning, investment planning, tax planning, health-care planning and legacy planning. There may be financial professionals who do not take the time to create individualized retirement plans. Our plan takes three to four hours to build, and then we sit down with the client to further customize it. Your adviser’s plan should educate you and clearly take you from Point A to Point B. 4. Are you dually licensed and independent? Does the adviser work for a brokerage, a bank or insurance company — or is he independent and able to offer you various products and services based on your financial objectives? Independent advisers aren’t obligated to offer or sell any particular company’s products or services, and they can offer what they think is best for each individual’s situation. In the same way, a dually licensed adviser — someone with both an insurance license and a securities license A — can offer a greater breadth of products and services, putting together a portfolio mix with both securities and insurance products customized to each client. 5. Do you specialize in retirement planning? If you’re closing in on retirement, you’ve reached a challenging new phase of your financial life. The priority should shift from accumulation and growth to preserving your assets and making sure you don’t run out of money. If you are looking for an adviser who can create a retirement plan custom suited to your needs and objectives, then you want to work with an adviser who has experience in retirement planning. These questions can help you determine if you’re working with someone who’s a good fit for your needs and can help you pursue both your short and long-term goals. Once you have found the adviser for you, then you can move forward — buy that club membership or those cruise tickets! Live the retirement of your dreams.